News items and information gleanings from here and there. Members from the Pennsylvania Army National Guard’s 1-108 Field Artillery will be the cannoneers at the July 4 mega-event on Sunday night at Long’s Park. Columbia has a connection to the 1-108 Field Artillery: “Charlie Battery, 1-108 Field Artillery, was located at the General Shannon Armory Building and Garage during the 1980s. ‘The Black Sheep’ of Charlie Battery had a proud lineage of being good field ‘canon cockers. '” The structure now houses the Columbia Boys Athletic Association’s (CBAA) Noah Wenger Center. solar-powered motion-activated lights alert | A letter-to-the-editor in today’s LNP – Always Lancaster from a Columbian points out the danger of solar-powered motion-activated lights. The letter writer srites, “the light exploded, and the tree it was mounted on caught fire.” Evidently, this is not new. 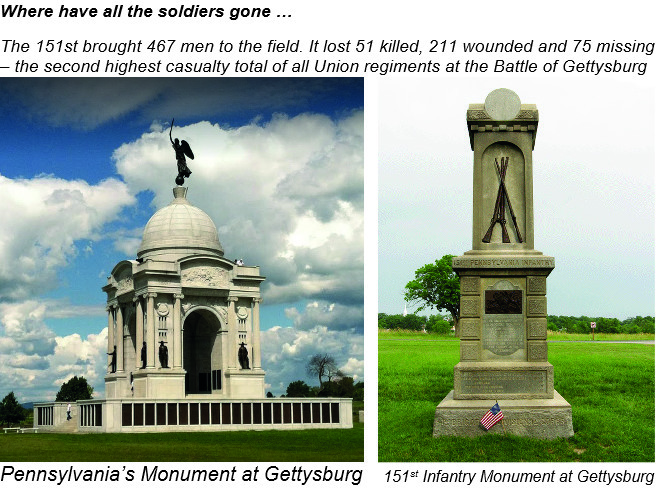 TODAY IS THE ANNIVERSARY OF THE FIRST DAY OF THE BATTLE OF GETTYSBURG. John Rentz was wonded on the July 1, 1863. John Rentz was the son of an immigrant. 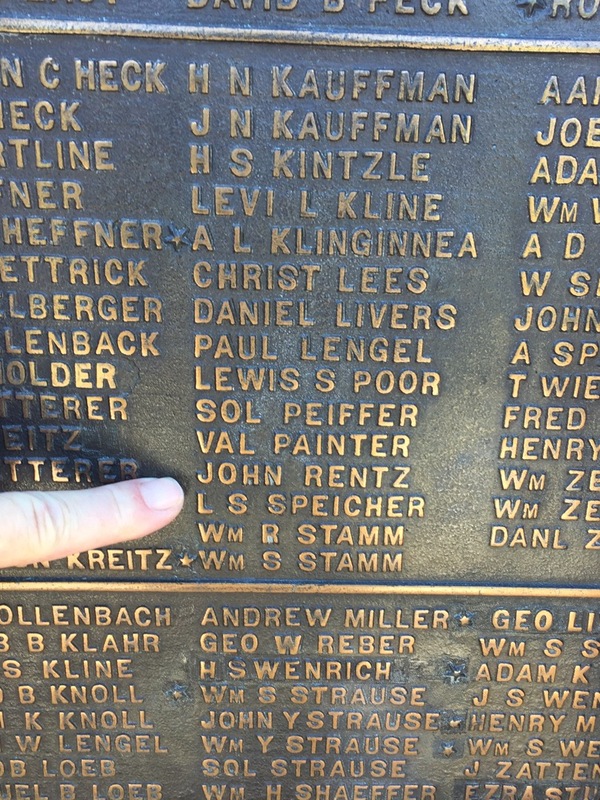 Great-great grandfather John Rentz’s name is on Pennsylvania’s 151st Infantry monument at Gettysburg. Previous Hard knock life’s a comin’!